These beautiful hikes can easily be undertaken in the course of day trips from Zurich. Switzerland is a land just made for hiking. 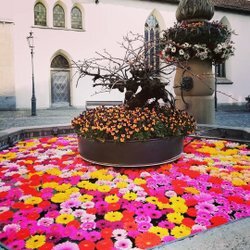 Visitors who are staying in the urban metropolis can also embark on some incredibly beautiful hikes from the city into the nearby Alpine world. The Swiss mountains are very easy to reach from Zurich. 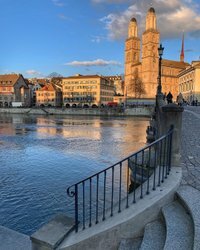 You can travel to the starting points of these beautiful panorama hikes by public transportation from Zurich Main Train Station within just 90 minutes. Consequently, it is possible to go on a day trip from the urban metropolis into the nearby Alpine world, and engage in a sporting activity or simply enjoy the superb views of lush, green Alpine meadows and crystal-clear mountain lakes. The Planet Trail leads from Zurich’s Uetliberg to Felsenegg. Along the way, the solar system is explained, much to the delight of budding astronomers. This spectacular panorama hike on the “Queen of the Mountains” – the Rigi – treats walkers to panoramic views of the Swiss Alpine world. This hike along the Stoos mountain ridge is one of the most popular tours in Switzerland thanks to its breathtaking views of Swiss lakes and mountains. 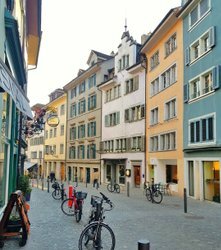 This fabulous path leads from the north of Zurich over the Pfannenstiel and down to Meilen on Lake Zurich, where country inns and cafés await. This easy hike starts outside the city and features an observation tower and restaurants serving tasty food. This tour high above Amden begins with a chairlift ride and thanks to its idyllic BBQ areas is also a perfect choice for families with children. This high-Alpine trail is hard-going to start with, but afterwards hikers are rewarded with fun for all the family in the Sattel-Hochstuckli region. This longer 7-peak hike can start off with an adrenaline-filled zip wire ride in the Hoch-Ybrig region. This magnificent hike is suitable for walkers with plenty of stamina. They are rewarded with superb panoramic views of the Walensee and the Alps. These local hiking routes close to the city are a real treat for outdoor enthusiasts. On these in-line skating routes, novices and pros alike can shift up a gear on the hard surface.